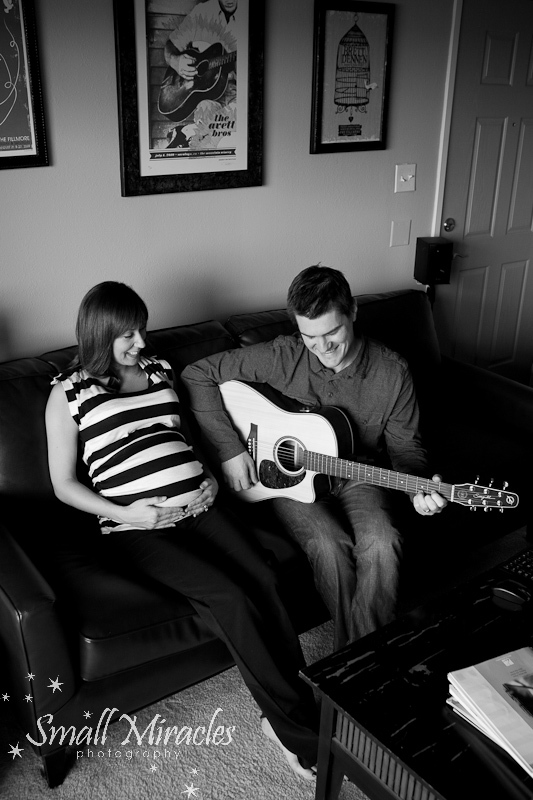 As I was finishing up with Monica and Jeff, Monica asked what I thought about doing some photos with Jeff’s guitar. Great idea! We shot a few last shots with the guitar, and I have to say, I love them. I love when my clients think of things that mean a lot to them and we can incorporate them into the shoot. There was construction going on across from their apartment to secure the sea wall. I love how the barrier photographed behind Monica. You never know what you can make into an interesting backdrop! Monica and Jeff made my job so easy. They were fun and relaxed. A perfect combo for new parents!